Regarded as a trusted Solar LED Home Lighting System Manufacturer, Exporter and Supplier in Mumbai, Maharashtra, we make sure that our product is quality-checked at production as well as packaging stage. 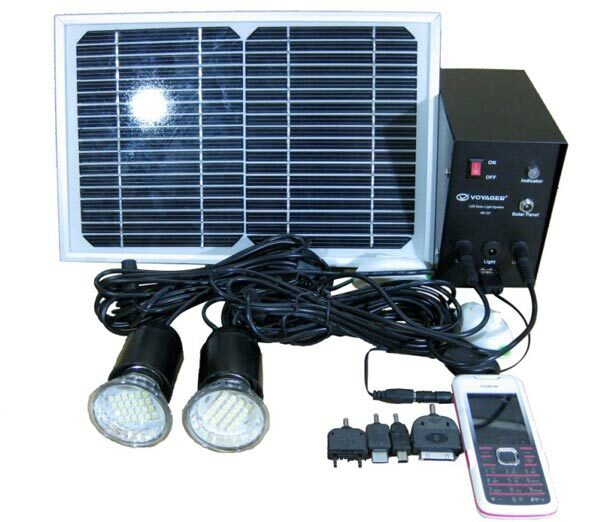 Solar LED Home Lighting System, offered by us, has inbuilt charge controller with microcontroller which enables uniform lighting, dimming, over and under voltage protections. Our Solar LED Home Lighting System is ideal for homes that are not connected to grid power. Solar LED Home Lighting System that we provide can run up to 3 Lights/2 Lights, 1 Fan (optional). It saves over 80% electricity cost when comparing with incandescent/sodium vapor bulbs.